RCD Leaflet Distribution is the North-West's largest leaflet distributor and can help companies of all sizes boost their marketing strategy through a targeted and professional leaflet campaign. Our 25 years of experience, range of delivery options and honest, reliable and trustworthy staff means you can have confidence that the leafleting we do for you is as effective and successful as it possibly can be. 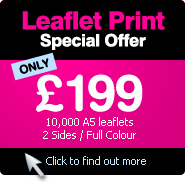 We also provide affordable leaflet printing services and have a range of printing options, from single A5 sheets to 60-page booklets, with an exceptionally fast print turnaround of only two to three days. The comprehensive leafleting service we give to our clients means you could bring a leaflet from the design stage to your customers' letterboxes incredibly quickly, helping you to provide up-to-date, relevant and cutting edge material to your target audience. RCD Leaflet Distribution can even provide our clients with backlit vans, complementing their leafleting campaign by promoting their company in their chosen area. Multi-media marketing is exceptionally important in the current age and we have stayed at the cutting edge of the advertising sector. We know how useful leafleting can be for a vast array of companies and organisations and recognise the importance of having professional and smart people delivering leaflets. 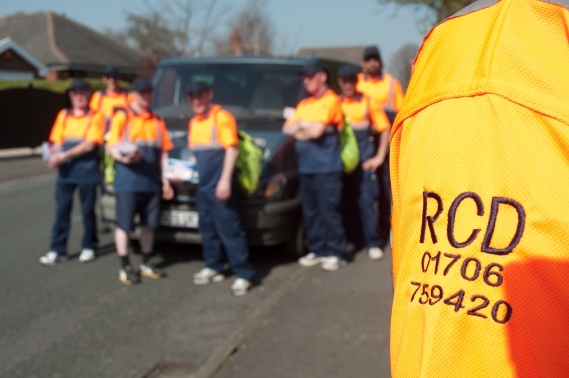 Therefore, all our delivery staff are uniformed and supervised. Unlike our competitors, we employ all of our staff on a fully employed pay-as-you-earn basis and strive to provide the utmost standards of service to all of our customers. Our Greater-Manchester based door-to-door leaflet distribution team have an exceptional knowledge of the North-West and can deliver to houses based on specific demographics and in exact regions, which means you can be certain that your promotional materials are reaching the people you want and are increasing custom as effectively as possible. We can focus on certain streets or to a particular socio-economic class, letting you ensure your leaflets are read by the people you want to read them. The leaflet distributors at RCD Leaflet Distribution can even deliver political items on a constituency basis, to specific postcodes or to other boundaries and aim to meet all of our client's requests and provide exceptional customer service. We have printed and distributed leaflets for a huge number of organisations of all shapes and sizes, such as political parties, double-glazing companies, fast food chains, restaurants, car dealerships, utilities providers and banks, and we know the power that leaflets can bring to a company. We also know how important it is to have the help of an experienced and professional leaflet printing and distribution firm to give you the solid backing and assistance you need to make sure your leafleting is as successful as possible. While advertisements in regional newspapers and other marketing strategies might never be read by your target audience and cannot reach 100 per cent of the market, RCD Leaflet Distribution's door-to-door leafleting team can make sure your leaflet goes through the letterboxes you want it to and is read by the potential customers you need. Contact RCD Leaflet Distribution today by calling 01706 759420 or sending an email to sales@rcdleaflets.com and see what we can do for you. 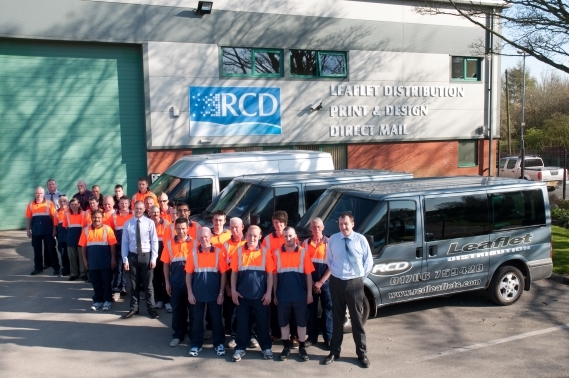 We have used RCD to help deliver the newsletter for the last 2 years. Not only are they competitive on price they are also reliable, professional and able to deliver exactly the areas that we need covering. 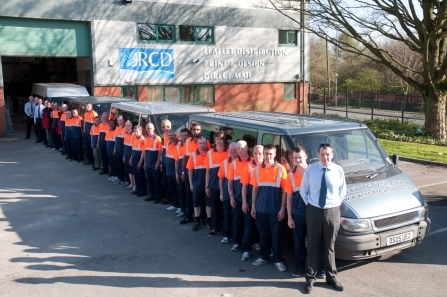 I would not hesitate to recommend RCD to anyone looking for a delivery company in the North West. We have been pleased with your service, as far as I can see you have done what you said you would do and I would certainly recommend you. We used RCD Leaflets for a 10,000 solus drop recently Nick and Andy mentioned about staff wages and running costs for a legitimate company we were reassured and explained fully how much it actually cost to get the job done 100 percent. They proved they used uniformed PAYE staff and have supervisors constantly on every job undertaken. On the day of delivery in Oldham I wanted to see my leaflets going through doors personally. I rang the office and they arranged a ‘ride along’ with the supervisor to show me where all the staff was and where they have already covered – this was great peace of mind. Upon completion of the delivery Nick emailed me the morning after it had taken place to confirm that we had finished. Attached to the email was our proof of delivery package. I was asked if I wanted the vehicle tracker report, however I already knew they had done their job, but nice to be asked. The calls soon started coming in – from this 10,000 Solus leaflet drop I would say we had at least 50 new customers with an average spend of around £150 per person. 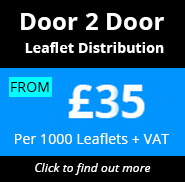 I would recommend RCD to any company that are looking for a reliable, trustworthy, honest leaflet distribution. We have used RCD for several years now and we find their service second to none in the North West. I would personally recommend them to others who require advertising literature delivered by hand on a door to door basis. We have used Andy of RCD for 10yrs and would have no hesitation in recommending their services to any body who wishes to use them. It is reassuring to deal with a leaflet distribution company in whom you can have the confidence that the leaflets will be actually be delivered. For details on any of the services we offer, complete the form below and a member of our team will be in touch.